Great Rental! All brick step ranch shows like a model! Finished basement with rec room & 4th bedroom. Vaulted ceiling & brick fireplace in family room. Hardwood floors! Large eat in kitchen with island and upgraded cabinets. Master bedroom has tray ceiling & WIC. MBB w/ whirlpool & separate shower. Security system, sprinklers, nice landscaping, patio & shed. Newer vinyl privacy fenced yard. It will not last long! 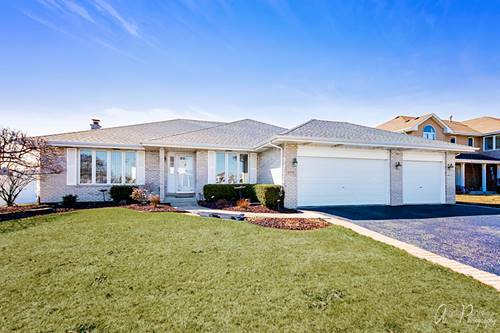 For more information about 8595 Scheer, Tinley Park, IL 60487 contact Urban Real Estate.